Bakesmiths was founded in Spring 2016 by Tom Batlle and Mike Thorne, two of the team behind the successful Cakesmiths Bakery in St Phillips. Cakesmiths have been supplying the highest quality handmade cakes, traybakes and traycakes to coffee shops across the UK for over a decade. Having long searched for the perfect site to showcase the extensive range of cakes, as well as create a fresh and exciting destination for all things food and coffee, Mike and Tom took over the old Henry Africa restaurant site on Whiteladies Road in March 2016. Since our opening we have steadily developed the business whilst sticking to our core principles; endeavouring, wherever possible, to source local produce and create all our products onsite from scratch – freshly every day. We also have an amazing meeting room-photo-studio – test kitchen-workshop for hire. Please ask for more details. Led by the amazing team of Monica, Thibauld (yes he is proudly French) , Master Baker Man ‘n Boy Steve, and a whole happy crew – the business has become one of Bristol’s favourite destinations for Cool Coffees and Amazing Brunches. So much so owners Mike and Tom can’t get a seat any more! So whether you’re looking for great coffee, artisan bread, breakfast, brunch or afternoon tea you’ll be well catered for. 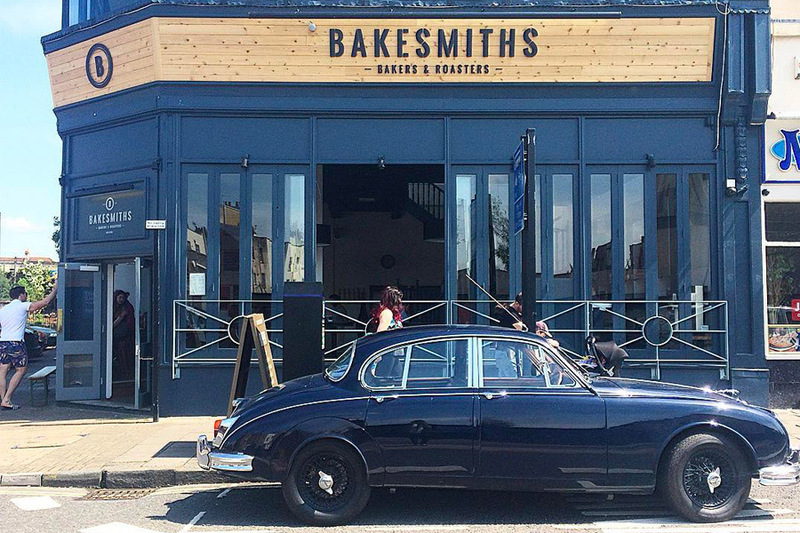 Find out more about Cakesmiths.